The co-founder of Move Ahead Media, Martin Finn was previously the operations director of the UK’s largest SEO Company before deciding, with his business partner, to develop a full digital marketing company back in 2010. 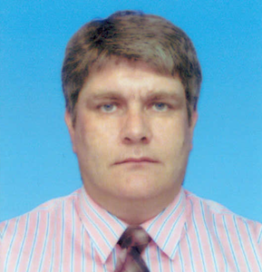 53 years old married with two teenage kids Martin has been in SE Asia for over 17 years. His background in the UK was working with individuals and companies in the finance sector for companies such as Old Mutual and J. Rothschild Assurance. In 2001 Martin moved to SE Asia to develop the region for Crydom, a US semi-conductor company, successfully building the company to its eventual merger into the world’s largest. Having worked alongside the likes of manufacturing companies, solar energy and B2C companies he has an acute understanding of business and a real interest in how companies develop. Using this expertise Martin ensures that Move Ahead Media’s primary goal is to meet their clients’ needs. As the internet started offering companies a way to reach out to customers marketing companies with the skills to understand how to optimize websites started to spring up. In 2008 Martin was approached by the UK’s largest SEO company at that time to be their operations director and grow their SEO business. This lead to Move Ahead Media that focuses on customer needs working across the whole digital marketing sphere rather than just SEO. In SE Asia it has been the hospitality industry that has lead this charge into a new field and working with them for the last 10 years Martin has a unique insight on how to use the Digital Marketing sphere to help hotels and travel partners get their message across to their target markets.